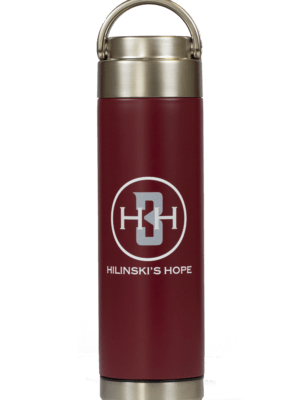 The NEW special edition Hilinski’s Hope H3H Be Bottle is here! All profits from the H3H bottle will be donated to Hilinski’s Hope, a foundation started by the Hilinski family to raise funding for programs that help educate, advocate, and destigmatize mental illness among student athletes. Together, we’ve raised over $28,000 for Hilinski’s Hope. Show your support with the purchase of a Just Black or Crimson 18oz H3H bottle this football season.